One Momma Saving Money: Packing lists for summer camp and 6 tips on how to choose the best camp! Packing lists for summer camp and 6 tips on how to choose the best camp! Are you sending your child off to camp this year? Both my children will be heading off to a week long camp out of state this month. Even though it is still a ways away, there is so many items they need, it is best to start checking them off the list now! Each camp is unique and so is the packing list. This is just a sampling of the clothing items on our list: 3 pairs of pants, 3 pairs of shorts, 7 t-shirts (non cotton, dry-wick preferred), 7 pairs of underwear, 8 pairs of socks, 1 sweatshirt (hooded is preferable), Sleepwear Swim suit (one piece or tankini style for girls, modest trunks for boys), 2 pairs of functional closed toed shoes, 1 pair of sandals or flip flops for showering and pool use, rain jacket, etc. Whew! That is a lot of items, not to mention toiletries, sunscreen, bug spray, sleeping bag and more. My son had the traditional kiddie themed sleeping bag, so it was time to move on up and get a new one. We went with an adult one, so he can grow with it! The Coleman Trinidad warm-weather sleeping bag keeps you cozy. Pick up the Coleman Trinidad Sleeping Bag on Amazon for about $21. A flashlight is also a requirement. 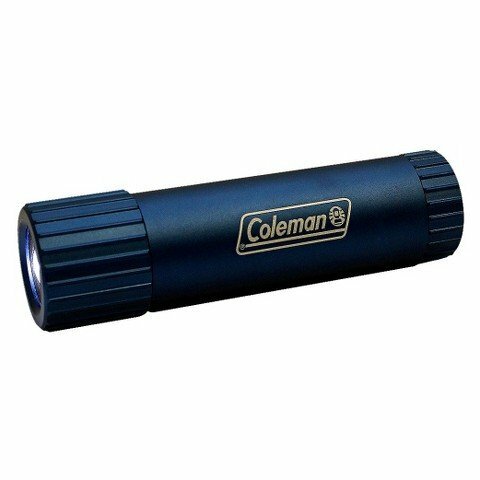 Whether is is for late night reading or exploring a quality flashlight is a must have for any camper! 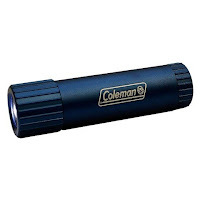 Why not get a Coleman Aluminum Flashlight for only $12.00 & FREE Shipping on orders over $25. Kids must stay hydrated while a camp! I have a Contigo travel coffee mug and love it! It will keep the liquid cold for us to 18 hours and beverages warm for up to 7 hours. Right now you can score one on Amazon for about $14. 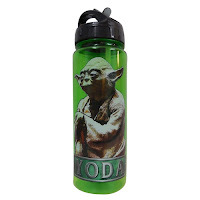 I could not convince my son to get one, so he opted for Yoda Water bottle. These are only about $20 at Kohl's! Towels are also a must. You need a couple for showering and my kids are going during splash camp (everything water), so they need beach towels as well! With a sea of kids at camp, they need to be able to spot their beach towel easily. I picked up the above towels for my kids. Head on over to Kohl's and take a look at all the beach towels they have to offer. Shoes, shoes, shoes! As you saw from the list the kids need multiple pairs of shoes. We send old sneakers, but they need decent shoes for trekking through the water and streams. Consider your child’s interests. Do they love sports, science, arts… or why not try a week or so of each? Think of where the preferred activities are normally held. Your kid loves to act? Check out local theater companies. Into science/building things? Try a local community college or university, a lot of times they offer camps over the summer. Consider your child’s needs. Is their year crammed with home- work and sports activities? Then maybe a traditional, fun, outdoor camp is all that they need! Choose between day camp or over night. Some kids may not be ready for over night, our son did a few days of day camp and at the end of the week, spent the last night. Now he is ready for a week of over nights! Keep it within your budget.